Identify the various roles that the facade ideally plays within a well-designed building. Describe the main benefits and applications of aluminum, aluminum composite material, and structural steel cladding. Differentiate between the various glass facade systems, including stick-built curtain wall, unitized facades, point-supported structural systems, storefront, window wall, and entry systems. Explain how kinetic facade systems work and the benefits they bring. Serving as the very first impression to both building entrants and passersby, the building facade not only plays a major architectural and aesthetic role, but it significantly factors into a facility’s energy performance and sustainability. Essentially serving as a building’s wrapping—be it glass, aluminum, aluminum composite, structural steel, or wood—an extensive array of shapes, colors, styles, and textures combine to present the building’s entry. 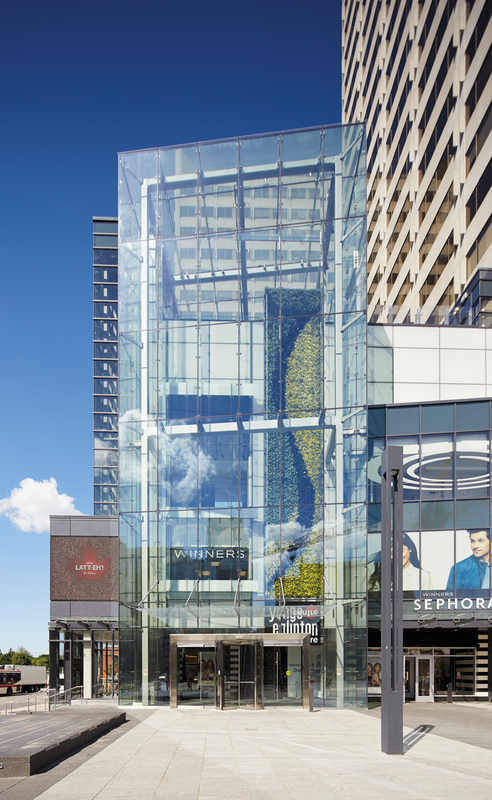 A high-span glass cube entrance and curtain wall system clads the IBI Group-designed RioCan Yonge Eglinton Centre Complex in Toronto. Shielding the building from the elements—i.e., rain, snow, wind, UV rays, insects, birds, etc.—the facade also serves as the building’s main protective layer, further underlying its importance within the overall building design. 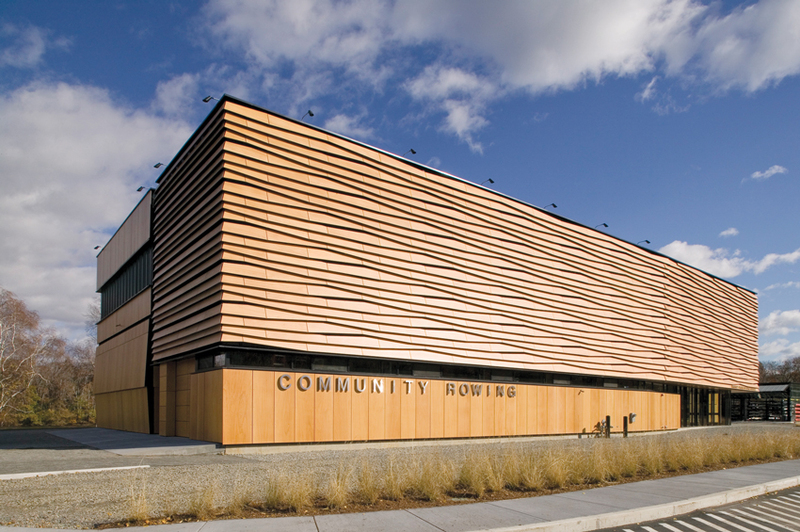 Photo courtesy of EXTECH/Exterior Technologies, Inc.
A wood-faced operable paneled kinetic facade delivers an old New England aesthetic, along with high-quality superior insulation and ventilation, for the Anmahian-Winton Architects-designed Community Rowing’s Harry Parker Boathouse and Ruth W. Somerville Sculling Pavilion in Brighton, Massachusetts. Furthermore, Kragh points out that the facade can make up between 15 and 25 percent of total construction costs, in addition to accounting for a large percentage of a project’s technical and commercial risks. That said, it’s essential to dedicate sufficient time to the design, development, fabrication, and installation of the facade system and all of its components. For example, close coordination between the trades must occur in order to ensure a weathertight facade and high-performance thermal systems. Furthermore, the facade must successfully integrate with numerous building systems, including the structural design, daylighting systems, HVAC design, and the building’s overall energy efficiency, particularly in light of increasingly stringent energy codes. “The facade is the filter between the climate outside and the conditioned space inside. It determines the appearance of the building, and its performance relies on appropriate specification, design, and delivery of a multitude of components and systems,” adds Kragh. Embarking upon a new design, architects have a multitude of cladding options to choose from to meet these performance objectives while delivering an attractive aesthetic. Patented Calor™ wall technology eliminates the traditional sealant and gasket and adds thermal performance to the building envelope. Calor wall systems are developed for high performance, uniquely innovative thermal and moisture control, and exceptional design versatility. Entice® is engineered to provide all-glass aesthetics with full-frame performance. The system has the unique ability to support door handle hardware on 1-inch insulating glass panels. Boasting the thinnest thermally broken profile in the industry with a vertical stile width of 11/8 inches, this completely customizable system delivers premium aesthetics while producing U-factors as low as 0.33. KINETICWALL is a dynamic moving facade that creates an eye-catching aesthetic. Made of 6-inch flappers attached to steel rods, KINETICWALL responds to wind currents to look like rolling waves. Customizable flappers are structurally designed to withstand hurricane-force winds and rainfall. KINETICWALL permits air flow and visibility, prevents solar heat gain, and provides opportunities for Arts in Transit. Longboard® Cladding Products are lightweight, versatile, and applicable to any project. The wood-grain finishes offer an authentic natural look, while the solid colors offer clean lines to satisfy even the most delicate designs. Sustainable manufacturing processes and superior product quality are the backbone of this contemporary product. Longboard® Products a Division of Mayne Coatings Corp.
Game-changing building exteriors: curved, smooth, ribbed, or lineal plank patterns use exposed steel decking. Structural and aesthetic, architectural decking can be acoustic, span to 35 feet, incorporate MEP, and coated to outlast other options. It is often the lowest total-project cost solution. This rainscreen panel offers the warmth and elegance of natural wood and is maintenance free. Use it on facades, soffits, screen walls, louvers, and even curved surfaces. 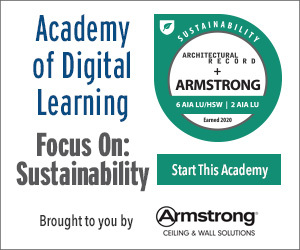 Its proven performance far exceeds the industry requirement, and it is LEED friendly. XtremeTrim® (extruded aluminum trim) profiles are available to match multiple panel siding systems. XtremeTrim® has thousands of design and color options, allowing architects and users to dramatically improve their building aesthetics and create modern architectural lines. Sustainable, durable, noncombustible, lightweight, easy to use, for interior or exterior use—that’s XtremeTrim®. The KEIL anchor was developed for mechanical, non-adhesive, concealed anchoring for different facade cladding materials. The anchor is used worldwide in the facade industry for rainscreens, wall cladding, and exterior and interior facades. As the world’s leading point-supported structural glass system, the Pilkington Planar™ system continues to evolve using larger glass panels and innovative backup structures. Backed by a 12-year comprehensive system warranty by Pilkington, architects and owners continue to specify this product time and time again for their most challenging projects.